Regaduct aluminium semi-rigid ducting is the simplest solution for heat recovery ventilation systems. With easily formed bends and offsets installation is made easy. 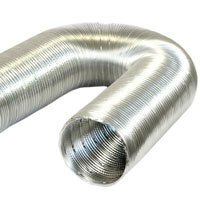 The duct is supplied in a compressed 4 metre length, 1 metre long.